Simply put, a pivot point and its support/resistance levels are areas at which the direction of price movement can possibly change. The reason why pivot points are so enticing? In many ways, forex pivot points are very similar to Fibonacci levels. Because so many people are looking at those levels, they almost become self-fulfilling. The major difference between the two is that with Fibonacci, there is still some subjectivity involved in picking Swing Highs and Swing Lows. Just like normal support and resistance levels, forex traders can choose to trade the bounce or the break of these levels. 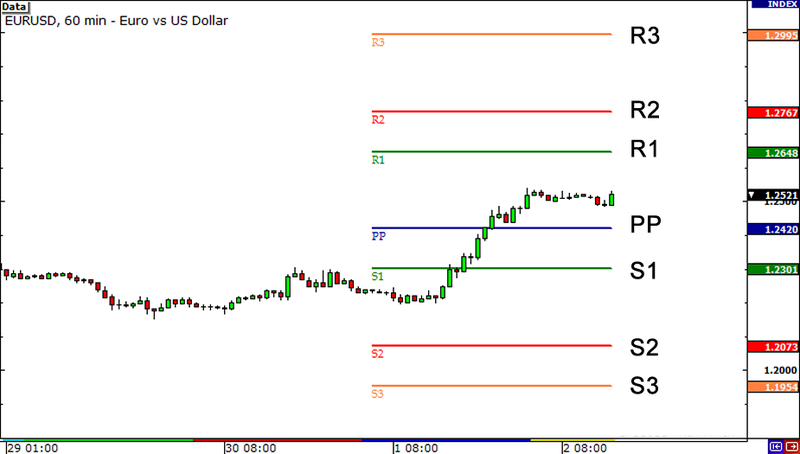 Range-bound traders use pivot points to identify reversal points. They see pivot points as areas where they can place their buy or sell orders. In the following lessons, you will learn how to calculate forex pivot points, the different types of pivot points and most importantly, how you can add pivot points to your forex trading toolbox!